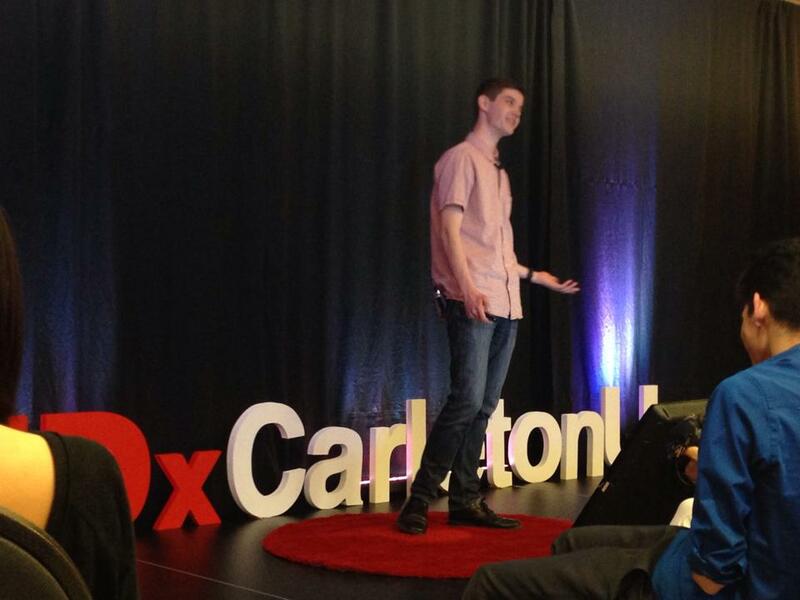 About 200 people attended Carleton University’s first ever TEDx conference, held April 5 in River Building. Twelve speakers shared 15-minute talks on this year’s theme, “Future World.” Speakers shared ideas on issues ranging from smart technologies to harnessing students’ curiosity, including human rights-related topics such as the importance of libraries in Canada’s prisons and how future charities will succeed. TED, which stands for Technology, Education and Development, is a global network of conferences aimed at sharing innovative ideas. More than a thousand people and over 70 speakers applied to attend TEDxCarletonU, according to the Carleton Student Academic Government, which hosted the conference. TEDx lead curator Humna Sheikh said she was excited to see so many people interested in attending the event. Isaac Würmann, a first-year journalism student and one of the speakers at the conference, presented a talk on using libraries to rehabilitate inmates in Canadian prisons. “I think (TED talks) can be really effective. We’ve all seen those TED videos that go viral and get people having really interesting discussions about issues,” he said. Isaac Würmann presented his talk on the importance of libraries in Canada’s prisons. But Würmann said sometimes TED conferences can oversimplify issues due to the time constraints speakers have to grapple with. “Sometimes I think TED speakers can fall into the trap of dumbing things down so it doesn’t provide a really good, whole representation of an issue,” he said. Pramodh Yapa, a fourth-year theoretical physics student, said he struggled boiling the “nitty-gritty” of advanced quantum physics down to a digestible 18-minute talk. “When you’re talking in an academic context you’re always using words and concepts that people have he context for,” he said. However, Yapa said the beauty of TED talks is that when speakers do them well, they can take complicated, intellectual ideas and make them more accessible to the public. Shaikh said CASG is planning to host another TEDx conference at Carleton next year. She said she hopes more people can will be able to attend future TEDx events at the university. “It was really sad disappointing so many people because we were all sold out,” she said.